PMEL Engineering development division has over 100 man-years experience in designing, building and deploying moorings and typically deploys over 180 moorings per year around the globe. The design process begins with gaining a detailed understanding of the science goals, requirements and budget constraints. Data on environmental conditions including currents, wind, waves, ice, bio-fouling, bathymetry and vandalism potential is critical to the design and time-series data at the deployment location is especially valuable. The mooring design must also factor in corrosion, vessel, deck gear and expected ocean condition for the operation. 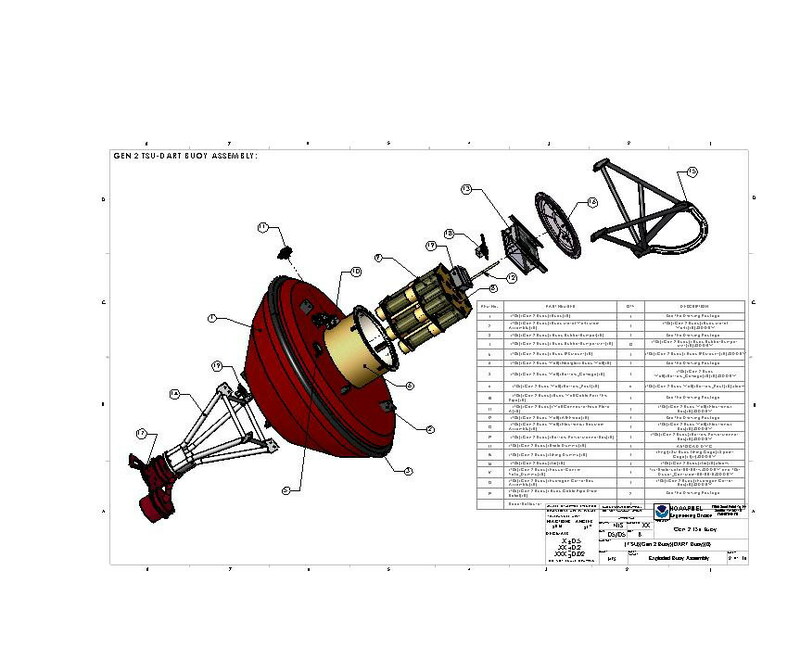 Second generation DART Buoy Assembly.